This article explains the BACKTRACK error message “Cannot get new unique key value” and details how to fix the underlying problem that caused it to appear. As a relational database, BACKTRACK routinely updates, add, and remotes records from the various tables that comprise the database structure. Each table requires a field or combination of fields that uniquely identifies the record. Without a unique value (aka Key field), relational databases like BACKTRACK cannot manipulate data withing the tables and therefore cannot function. With this error, BACKTRACK seems to fail to insert a new record into a database table. The error message indicates that the BACKTRACK is not able to assign a unique value for the record key field. Therefore, when it tries to insert the new record, the insert fails. This can tricky so we recommend working with your EBI Technical Support Coach. Essentially you need to use a database tool (e.g. 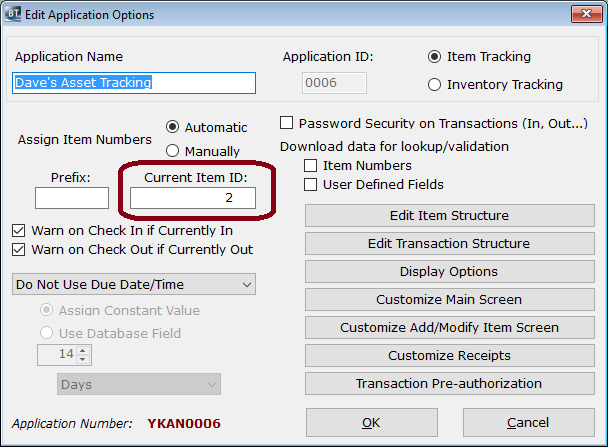 SQL Management Studio) to verify that the Item table does not have any duplicate values in the key field (Item # field).